Use this website to quickly find the most important information about the Bucharest Airport: Flights, Departures, Arrivals, Parking, Car Rentals, Hotels near the airport and other information about Bucharest International Airport (OTP). Plan your travel to Bucharest Airport with the information provided in this site. 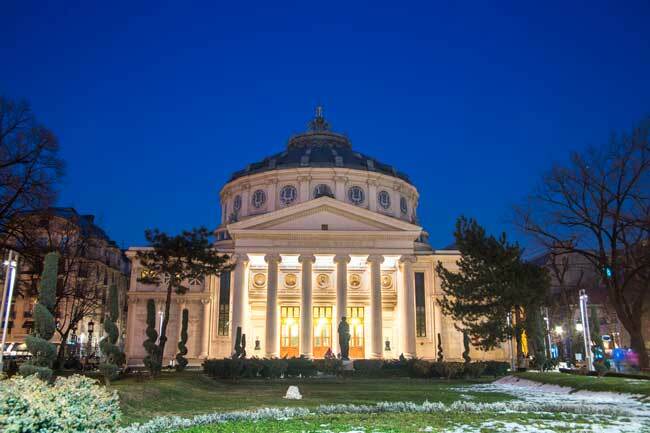 The Romanian Atheneum is a must-see attraction in Bucharest city centre. Bucharest Henri Coanda International Airport (OTP) is the main international airport serving Bucharest, Romania. In 2016, Bucharest Airport handled 10,982,967 passengers, being the busiest airport in Romania. The historical district of Lipscani is perfect for a long walk with beautiful views. Bucharest Airport (IATA: OTP; ICAO: LROP), officially called Bucharest Henri Coanda International Airport, is the main international airport serving Bucharest, in Romania. 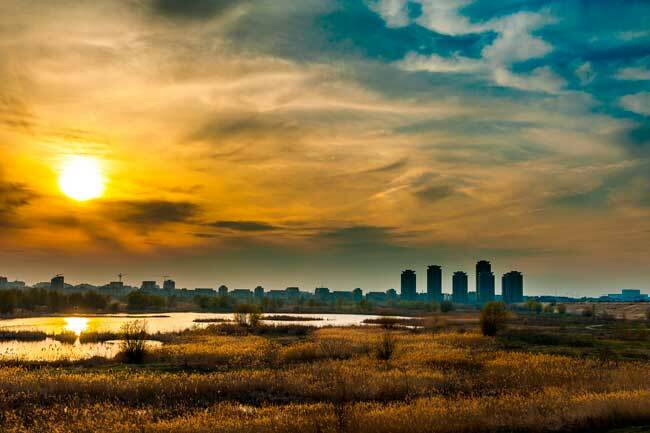 It is located in Otopeni, about 17 km from Bucharest city centre. 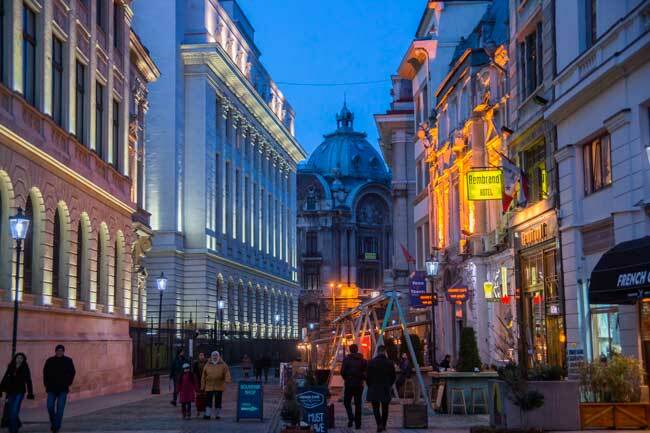 Bucharest city is the capital of Romania and the main commercial hub of the country. The city still has some Communism style buildings and architecture, being the most representative one the government building of Palatul Parlamentului. If you visit the city, it is very nice to take a walk around the historic district of Lipscani. Carusel Carturesti building has a strong personality, combining baroque style with minimalist design. In 2016, Bucharest Airport (OTP) handled 10,982,967 passengers, being the busiest airport in Romania (passenger influx). Bucharest International Airport serves the Bucharest area in Romania and its surroundings. It operates as the hub of TAROM. 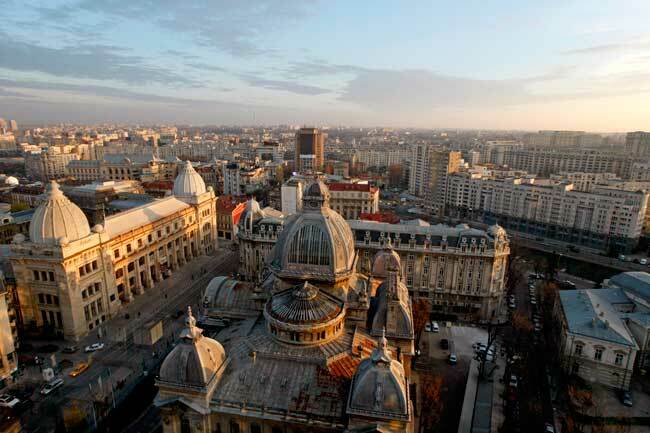 Within the must-see attractions in Bucharest, we recommend you the following: Carusel Carturesti, Romanian Athenaeum, the Tea Art at Infinitea, Mogosoaia Palace, Cinema Studio in the center (Bulevardul Gen.), Stavropoleos Monastery, Masca Theater, Ice skating, Museumof the National Peasant, Follow the Square Cat (Pisica Patrata).